Products that have omega-3 are usually not vegan, since the primary source of omega-3 is fish oil. 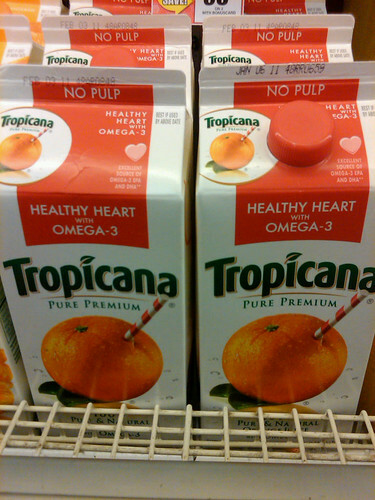 This is true of Tropicana's "Healthy Heart with Omega-3" orange juice. George was selecting juice for us and put this in the cart until I intervened. Most people would probably assume that juice is vegan, but this isn't even vegetarian!